This is an excellent beat and is superb for sea-trout- given water and can produce large numbers of salmon. The Points fishes well in high water for salmon but can be an excellent pool for Brown Trout. Indeed Dunlugas is a superb beat for trout and has some wonderful glides for the dry fly in April and May. The next pool down, The Greenbank is superb fly water and the fish tend to be towards the far bank in spring and autumn. This can also be a good holding spot for sea-trout. 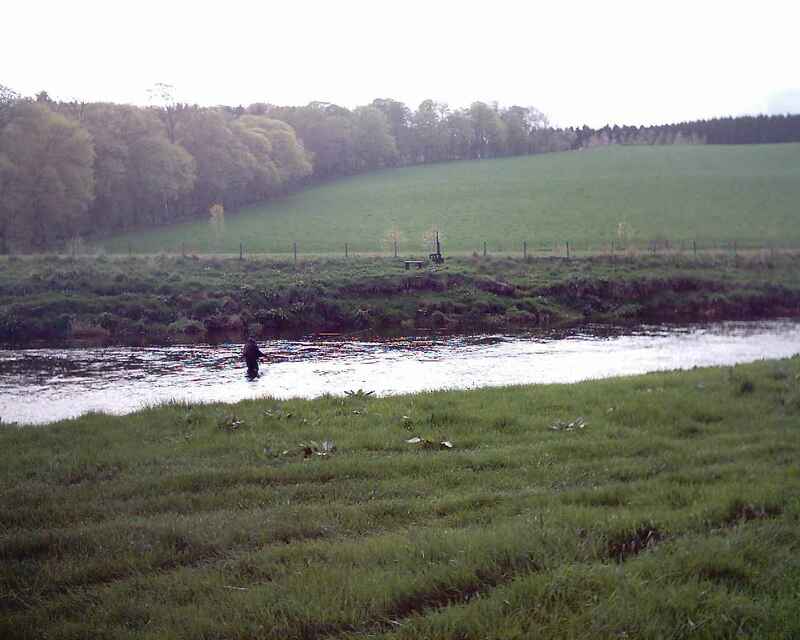 Boghead is a streamy pool and fish can be had right under the bank. Ensure you fish it right out every cast and to below the bottom tree at the tail. The next two pools fish well in low water and again the fish are found all on this side. Canada fishes well in high water due to it being a long slow pool . The Rats Tail is a favourite pool and usually holds a few fish but likes a rise in water to fish at its best. These can be found under both banks so cover all the water. The Mausoleum can be a long pool in higher water with fish lying off the small burn at the top on the opposite bank. It usually fishes better with a spinner (when allowed). The middle part and the tail end especially off the far bank can hold fish and is a likely taking point as the water begins to fall away. The Island is a superb sea-trout pool and the likely spots are easily seen. The Hen Ford and Shingle can be productive in high water but are a bit shallow if the water is low. Bog Brae is another superb pool and fish can be found off the flow on both sides at the top. Towards the bottom the fish can be found under your feet so fish it round and out. Wyness Point and Lower Bogbrae can also be good pools in a medium water but they are always worth a go in any conditions. A cottage is available on the Estate for weekly bookings.